Need more? Additional stock arriving in 8 - 10 weeks, order now. Designed in Minnesota by Blu Dot, the bestselling Hot Mesh chair is exclusively available in the UK here at Heal's. 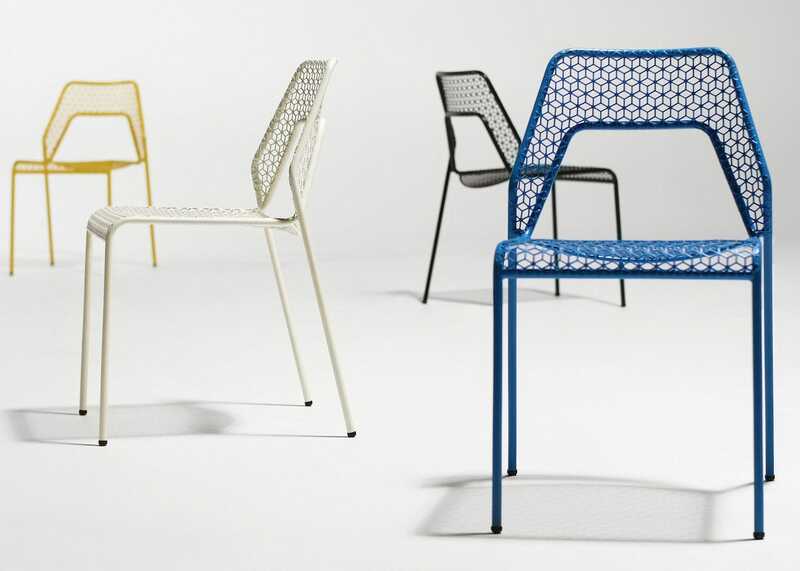 Inspired by classic wooden steam-bent bistro chairs, the use of steel tube and mesh gives a modern rendition of the interlocking rails and woven seat of the original with this white design available a range of bright colours.